Artemis of Ephesos was one of the most widely worshiped deities of the Graeco-Roman World. Her temple, the Artemision, was one of the seven wonders of the ancient world, and for more than half a millennium people flocked to Ephesos to learn the great secret of the mysteries and sacrifices that were celebrated every year on her birthday. 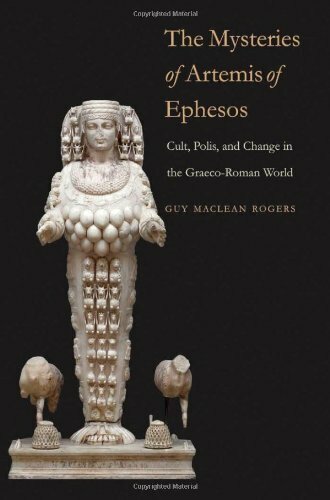 In this work Guy MacLean Rogers sets out the evidence for the celebration of Artemis's mysteries against the background of the remarkable urban development of the city during the Roman Empire and then proposes an entirely new theory about the great secret that was revealed to initiates into Artemis's mysteries. The revelation of that secret helps to explain not only the success of Artemis's cult and polytheism itself but, more surprisingly, the demise of both and the success of Christianity. Contrary to many anthropological and scientific theories, the history of polytheism, including the celebration of Artemis's mysteries, is best understood as a Darwinian tale of adaptation, competition, and change.